Korakia Pensione offers a unique and relaxing getaway from day to day reality. Crafted after a Mediterranean-style pensione, Korakia blends the silhouette of Tangier with a whisper of the Mediterranean. Restored in 1989, Dar Marroc was renamed Korakia (Greek for “crow”) and crafted into a Mediterranean-style resort. 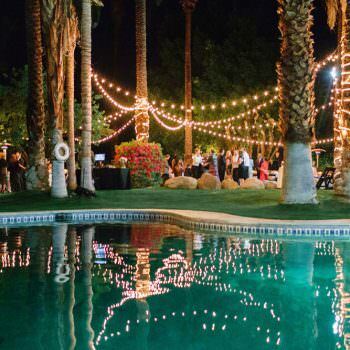 The resort, now housed in two lovingly restored historic villas, rests on 1.5 lush acres, consisting of bungalows, guesthouses, gardens and pools. 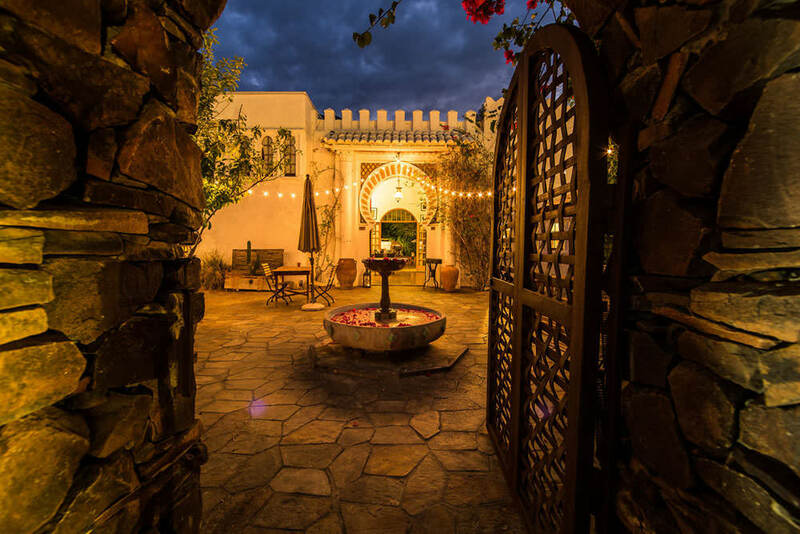 From Korakia’s distinct keyhole-shaped grand entrance housing a set of ornately carved Moorish wooden double doors to the antiques and handmade furniture found in every room, everything blends harmoniously to create an oasis in the California desert.